on experiences in applying what they have learned. Open Contracting (OC) can be viewed both as a strategy and a tool for Social Accountability. It refers to government disclosure and citizen participation in the public contracting process, from the inception stage and planning to the performance and delivery of contractual obligations, involving constructive engagement between government and citizens in the entire decision-making and implementing process. Its goals are for better facilities and infrastructures, more efficient delivery of goods and services, and the furtherance of the protection of the rights and welfare of the population. In sum, the OC advocacy aims to promote the efficient, effective and economic use of public funds through collaborative efforts of civic engagement. Clearly, the role of citizens in Open Contracting is essential, as it forms a pillar on which the entire process stands. Citizenry is composed of a number of actors, including organized civil society groups lobbying for common causes, local communities, and various social sectors. One of these key groups is the youth. The main premise of "Open Contracting in the Classroom and Beyond" is to target students in their present capacity as citizen monitors, in addition to their future potential as practitioners in their respective fields. University professors from different areas of expertise, ranging from public administration to political science and journalism, were tapped to integrate into their lesson plans the ideas of social accountability and open contracting. The classroom is an ideal jumping board for guiding students to apply lessons in public disclosure of contracts through both ideological critiquing and actual experiences of engaging government agencies. In the process, they are also encouraged to connect with other civil society organizations to assist them in the advocacy. It is after that students are required to create their own outputs based on what they've learned during the discussions and in the field. This model involving professors and students from both public and private universities have been lauded online by developmental practitioners. 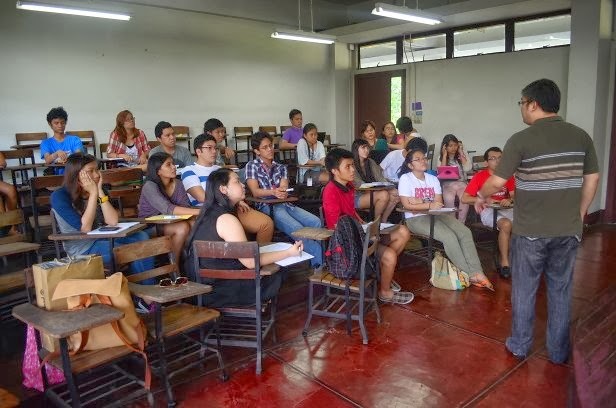 It has been praised for tapping tertiary-level professors to guide students in understanding the entire process of contracting, especially in the Southeast Asian region. The youth has traditionally been overlooked when it comes to issue consultation and resolution, by reason of lack of extensive experience in governance. But what we lack in years we make up with enthusiasm and a fresh outlook. "OC in the Classroom and Beyond" truly does go beyond mere dissemination of the two-fold advocacy of social accountability and open contracting. It actually fulfills a constitutional mandate: to encourage the youth in civic participation. In the end, these same people will be our future leaders, and thus it is never too early to show to them how things are currently being done, and allow their minds to wander as to what we could do to improve the current system.